Ok you need a new PC! But you really do not want to pay-out a huge amount of cash so you are thinking of buying a second hand one. What should you look out for when buying a used system? Buying a second hand computer is a lot like deciding on a new computer: you’ll have to think about what you are going to use it for, what else you’ll need to buy to make it work for you and how long you want to keep it. Check my previous blogs: Netbook Vs. Computer Tablet and Desktop Vs. Laptop. All these concerns have to be compared against the cost of a new model, so each concern will be tackled one at a time. Portability: Do you travel often? Do you expect to take your work with you? Size and weight are a concern, then: make sure the system you’re buying is small enough you can comfortably transport it, but be aware that with portability often (but not always) comes a trade off in features and horsepower ( read my post on Netbooks). Specs: Think about the applications you plan to run. Will you be doing any high-end gaming? Video or audio encoding? Anything else that’s CPU or memory-intensive? If you’re a student will you be using Photoshop or Dreamweaver? How much storage will you need? Make sure to consider the specs of the system against the apps you’re going to use and ask yourself: Can this computer handle my needs? (Often the answer maybe “Yes.”) If not, is the money you’ll save on a used machine worth slower apps, or sticking with older models without new features? Power: If you’re buying a laptop, especially a used one, look up how much a replacement battery will cost, or a spare AC adapter. (The majority of 2nd hand laptops will need either a new battery or the adaptor is missing). Depending on how the system was used before it went up for sale, that battery may or may not hold a decent charge, and may be through its recharge cycles and ready to be recycled. This is especially important if you plan to travel, or work in multiple locations. If you’re buying a desktop, it’s probably not an issue. All in all, sit down and think about the way you plan to use the system. If your day-to-day computing involves tons of web-apps, web services, (Google Docs, Facebook, My Space, YouTube etc.) and few desktop applications, (Photoshop, Dreamweaver, video editing software etc. ) a lightweight/low spec system may work for you. If you really need desktop horsepower for gaming, design, and video editing, you want to make sure that used system is up to the challenge. Other things to consider: Does the second-hand pc included Software and Peripherals! A new pc will come with the latest operation system and usually at least a 1 year warranty. If you’re buying refurbished PC from an authorized reseller, they’ll probably include the OEM license for the OS,( operation system) and offer their own service plan, or toss in a warranty for a couple of months. See what comes with yours—or how much it would cost to get what you need. The same applies to peripherals like keyboards and mice. Competitive Pricing: Aside from raw specs and stats, look at the price of the used model, and compare it to the price of a new, comparable system. Remember, used doesn’t always equal bargain, even if the seller is tossing in some pre-installed software or an external hard drive. Would you spend the same buying new or refurb, perhaps with that previously mentioned warranty? Price of Upgrades: Many people buy a used system and completely underestimate how much it will cost them to upgrade. Sure, that €200 used laptop may look like a bargain, but once you pay between €50 to €60 for a larger hard drive, (old laptops often come with quite small hard drives e.g. 20gb which you will be lucky to hold some videos and about 10 high resolution photos before its full) a €119 Windows 7 license, ( many old pcs run windows xp, it is no longer supported by Microsoft) and any programs you need to buy, (Office €118) it’s not looking like much of a deal anymore. Heaven forbid you plan to upgrade the hardware in the immediate future—the cost of a new Hard Drive alone on top of the purchase price may make buying new a more attractive option. Then again a new PC will not usually come with Office preinstalled but at least it will have the latest operation system and a larger Hard Drive. Check the frame and body for cracks or surface damage. Check the screen for haze, dead pixels, or discoloration. Check the inputs, ports, and optical drive for any broken or malfunctioning ones. Bring peripherals (USB stick) with you if possible. Check the included software, and if anything licensed is included, make sure the keys or media are available to you. Check the processor speed, open the computer (right click on my computer, scroll down to properties) and look at the processor itself, not through a software program as these can be changed or tricked. Ram, Hard drives etc. can be easily be changed on a PC but the processor is for life, anything less than 1.55 GHz is not worth getting. Check when you are purchasing a used computer that it has legal windows and the ~CD or other disc and its windows Key included. Many small computer companies who build or sell used computers may not provide you with legal copies of the software, which is not only illegal but may leave you with a fine or the inability to get updates. Buying a used or old system doesn’t have to be a bad experience, but you do have to be cautious when shopping. There are plenty of bargains to be had on Adverts, DoneDeal or eBay, and even from your friends looking to offload their old systems, but just make sure you’re not throwing your money away. Some computer models have specifically high resale values, so make sure to do your homework long before arranging to meet, and make sure you wouldn’t necessarily get a better deal if you bought new or refurbished. Sometimes sellers will try to tell you how much they paid for it, and tell you that you really got a great deal since they paid €1000 and selling it to you for €500. But you also have to compare how much a computer with the same features would actually cost you now, and not forgetting it will come with full warranty!. Two years from now, that €1000 computer with the same features may now only cost €300. 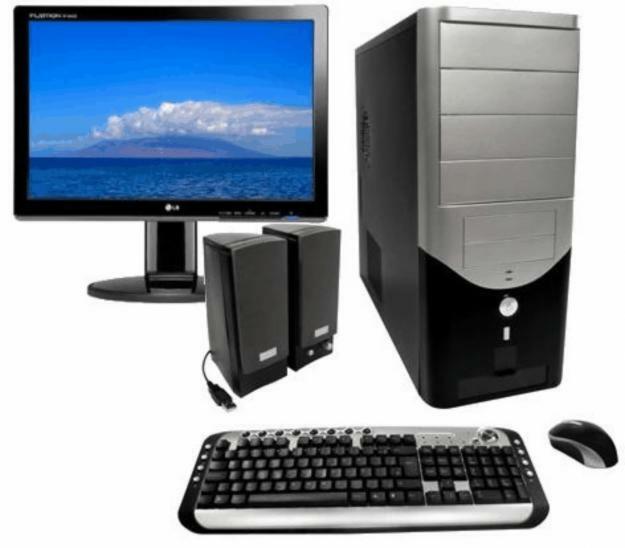 When pricing a refurbished or used computer it is important to note if the system is still available for sale new. If it is, this makes the price comparison very easy to determine. If an older system is no longer sold this is where specification becomes extremely important. With the specs in hand try and find a comparable brand new system and see what you get. Often times you will find that for the same price you can get a better, newer laptop or desktop. First and foremost, the warranty should be a manufacturer one. If the warranty is not provided by the manufacturer it should raise a red flag for consumers. A manufacturer warranty will guarantee that the system will be repaired to the original specifications with manufacturer parts or certified replacements can be used with the system. Third party warranties can cause major problems as replacements parts may not be guaranteed and it may take longer for the system to be repaired. Is it sold by the manufacturer or a retailer? What is the price relative to the same PC new? Is the system comparable to an equivalent priced new PC? What type of warranty comes with the PC? Who will handle warranty work? site and detailed information you provide. It’s great to come across a blog every once in a while that isn’t the same unwanted rehashed material. truly been unhappy fairly recently because my best friend is no longer here with me. Browsing the net gives me a bit of piece of mind . will helps spread the news relating to watches even more! can keep current at this website. Thank you for your comment, e-mail listing in on the right of the website.